Marquez vs Likar Ramos fight will be streamed online live from Plaza de Toros, Cancun, Quintana Roo, Mexico on July 16, Saturday. 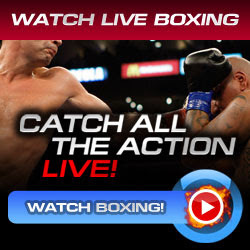 Only selected countries will be able to see and watch the live streaming of Marquez vs Likar Ramos through www.toprank.tv for free where the United States, Canada and Puerto Rico are lucky, of course. Likar Ramos, a great opportunity for him in fighting a big name in boxing the current three division lightweight world champion Juan Manuel Marquez. Ramos is not a well-known fighter, he will be fighting for the 2nd time outside in his country but who knows he may upset the Mexican warrior Marquez because of the southpaw style and eyeing the knockout records of him not considering the defeat he earned against Jorge Solis. Marquez vs Likar Ramos will be a 10 rounds bout only in the lightweight (super) division and Marquez title belts are not on the line for it is a tune-up bout as a preparation in clashing again with Manny Pacquiao for the third time/Trilogy Fight.